Semarak Kehutanan 2017 proudly present, MALAM PUNCAK SEMARAK KEHUTANAN! It’s just several days left to the Malam Puncak Semarak Kehutanan 2017. 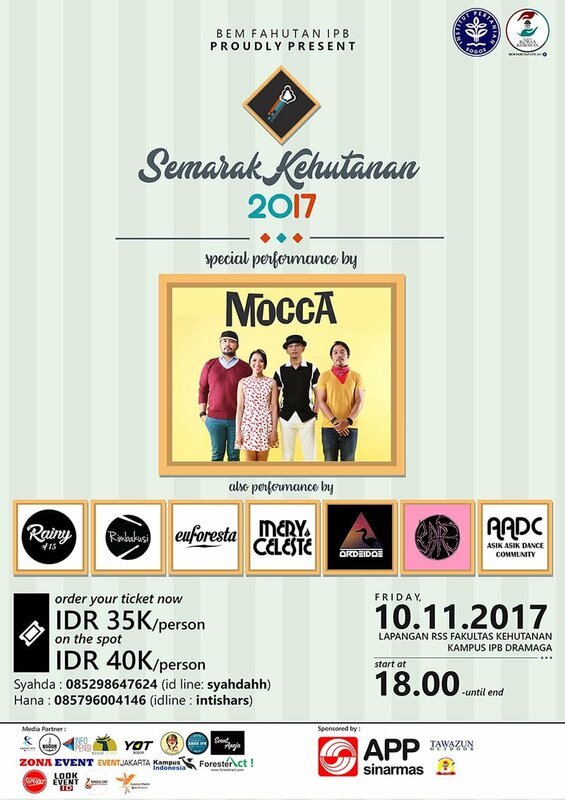 For you who’ve been waiting, it’s the moment to finally see the special performance by MOCCA. 10th November 2017 at Faculty of Forestry IPB Dramaga.